I back read some of my posts. Some were shallow and a feast for a copywriter or editor. Some were good. Some were forced or “pilit”. Some were trying hard. At times, I contemplate on shutting it down but I have learned to embrace all my posts as part of who I am now. It was a childhood dream of mine to be a writer. In fact, I was bagging awards for inter school competitions in my elementary days. I was always a choice for Journalism class and even became a Feature Editor. My English and Journalism teachers would always ask me to spend more time in school just to write essays and stories. I was good in English class too. I guess, they saw my potential. However, when college arrived, I was made to choose Accounting. My mom is an undergraduate Accounting major. My elder sister is a CPA with good-paying job, so my mom thought it’s a smart choice for me. For many poor or average families, employability is a top if not the sole consideration of a college course. Dreams and career goals must take a back seat for a more secured, easier and earlier income. For the records, I do not regret having a career in Finance. I have learned to love it all through the years of my practice. I enjoyed my detour, met fantastic people and became money-wise. That’s why I started writing about Personal Finance. I know I should have written about it earlier. Basically because it’s what I know, my blog would’ve been a hit by now and I would have been a millionaire since I got to walk the talk that I do. My blog was not a mistake but I made huge mistakes in blogging and that includes blogging with money in mind. Also, I did not take it seriously, without an attention which a lifelong dream right so deserves. I did not bother improving my skills. Actually, I’ve neglected my “gift”. Six years have gone and looking back, I know I can only move forward. I have checked out some writing workshops (www.creativewritinginmakati.com) and as soon as my kids graduate from being toddlers, I’m gonna register myself. But something I can do now is to simply blog more often, as in make time for writing and most importantly blog from the heart! Yes, I commit to blog from my heart from now on! 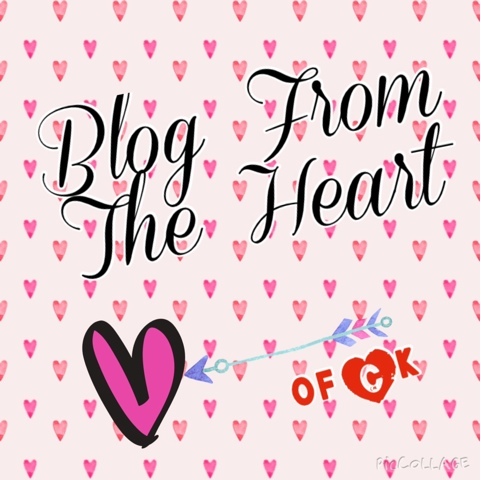 Would that be a good URL, blogfromtheheart.com? Anyway, maybe if I do these two especially the latter, readership and money will soon follow. Any dream you have put aside for practical reasons? Let’s pursue them. I believe it’s never too late to reach for our dreams! Help me rebuild my destiny, will ya? !